Malaki Seku-Amen (pronounced “mal-luck-eye / say-coo awe-men”) has been in the vanguard of community economic development for 25 years. He has lived and told the stories of troubled neighborhoods as a journalist, pioneered innovative business support programs, steered policy in the executive and legislative branches of state government and advised Fortune 500 corporations in high stakes public affairs issues. One of Malaki’s first career-defining success stories was coordinating a chamber of commerce’s congressional lobbying efforts in 1990, which aimed to promote regional business incubation as a response to local military base closures. After producing Sacramento’s first (and award-winning) directory of Black businesses, professionals and community resources, he then co-authored grant proposals securing over $1.5 million in local and federal funding for the rehab of an abandoned 75,000 square foot commercial facility to house the Al Geiger Center for Business Incubation, and, a business development and technology skills training program with micro-loan fund serving low income residents in Sacramento. In 1993, Malaki joined the Center’s staff as the training program coordinator. In roles as partner of a public affairs and visual media firm (intermittently since 1995), Governor’s appointee and staffer in California’s Legislature (2001 to 2007), and state lobbyist for the nation’s oldest and largest civil rights organization (2008 to 2011), Malaki wrote business plans, analyzed public policies, built coalitions, developed successful marketing, media and fundraising strategies, managed budgets and staff/volunteers, organized major conferences and events, chaired committees, reported to governing boards and much more. This includes having held management responsibilities in operating a California Technology, Trade and Commerce Agency division’s business and community support programs responsible for awarding $72 million in grants, which created and retained over 18,000 jobs. From 2005 to 2012, Malaki served as an appointed Member of the California Economic Strategy Panel, which advised the Governor and the Legislature on economic strategies to guide public policy. This afforded him an opportunity to research critical issues, engage stakeholders and develop policy recommendations in many areas of economic development; namely, technology commercialization, the state’s regional industry cluster eco-system, infrastructure, regulations, workforce development, capital formation, government program evaluation, supporting entrepreneurs and startups, and addressing income inequality. From the practice of business development, to the field of public policy, Malaki’s work has been driven by an intimate understanding of how to successfully navigate California’s diverse communities, political environment and economic opportunities. 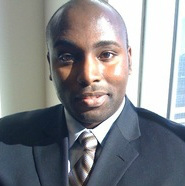 In 2006 – with support from legislative, industry and community leaders - Malaki completed a fellowship at Harvard University’s Institute for Community Economic Development, resulting in his development of a community action plan for neighborhood revitalization in low-income urban areas in California (the Economic Opportunity Initiative – EOI). The California Legislative Black Caucus adopted the EOI as legislation and a major policy recommendation linked to its 2007 State of Black California report. Governor Arnold Schwarzenegger also adopted the EOI, which became his basis for establishing through Executive Order, the California Partnership for Urban Communities (a community organization assistance pilot project), within the California Business, Transportation & Housing Agency. ​Ultimately, a continued passion for community innovation, investment and equity led to Malaki’s current role as president and chief executive officer of the California Urban Partnership – a 501 c 3 nonprofit organization he founded in 2010. An outstanding business development manager, expert grant writer and researcher, Dr. Cadet has written and secured over $500,000,000 worth of funded grants and proposals. She was the former Executive Director of the California Small School District Association, the former Assistant Superintendent of the Sacramento City Unified School District, Executive Director of the YWCA, and Vice President of River West Developments, a multi-million real estate and land development company. Dr. Cadet has worked as an executive manager for several multi-million dollar corporations and has formidable business development experience. She established the State of California’s Surplus Food Program which has distributed multi-million dollars of food products to needy families in the state. In 2005, she played a critical role in expanding the Sacramento Parent Teacher Home Visit Program to 18 states by securing a $1,100,000 grant from the U.S. Department of Education. 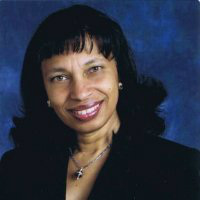 In 1992, Dr. Cadet was featured in the bestselling Prentice-Hall Publications book, "A Few Good Women," along with 11 other Fortune 500 female executives. Dr. Cadet holds a B. A. degree in economics from Stanford University, a Master's Degree in international affairs from California State University, Sacramento, and a Ph. D. degree in educational economics from the University of California, Davis. Our executive leadership, staff and consultants share a steadfast commitment to helping build a more economically just and inclusive society. They come from a variety of professional and cultural backgrounds, and are skilled at facilitation and coalition building. Our work teams are intentionally structured to foster interdisciplinary thinking and take advantage of this diversity of thought. Our training, technical assistance and policy work is rigorous and practical, and grounded by our experience of working directly with the communities we serve.